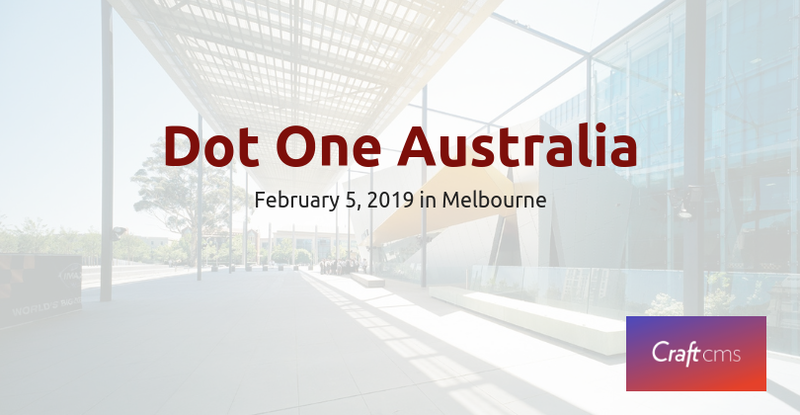 On February 5, 2019, CraftCMS Australia will host a one-day event at the Melbourne Museum Treetop Room from 9:00 am to 4:30 pm called Dot One Australia. This will be the company’s first event of this kind and will feature a presentation by Brandon Kelly, Craft’s founder, and CEO, plus talks from Luke Holder, Lead Developer of Craft Commerce, Josh Crawford, Lead Web Developer at S group, and James Noble, Chief Design Officer at Carter Digital. Additionally, this event will host a forum of lightning talks from members of the Australia/ New Zealand Craft Community, including the opportunity for other speakers to talk about their Craft CMS projects or anything relevant about the CMS experience. After a day of talks and discussion, there will be a happy hour/ networking social event with members of the Pixel & Tonic team and the Australia/ New Zealand Craft Community from 5:00 pm to 7:00 pm. Tickets for the event are $99.00 AUD and includes lunch.